Are you a beginner to the financial markets? Or, have you already been familiar with financial markets for a long time? Well, in case you have already been in financial markets, you will be able to relate to this article. And in case you are a novice to this field, then you should definitely restrain from making any of the mistakes discussed in this article. We learn from our experience. The more we get to know things, the more does the level of efficiency increases in that particular field. In case you are a novice to financial markets or investment strategies, it is quite obvious that there may be several queries coming in your mind. Also, there may be certain investment decisions, which you may have taken under peer pressure or because of a friend’s advice. In general, we go with the herd and forget to plan our strategies. So, let us discuss the 3 mistakes, which you should avoid while entering into the financial markets or taking investment decisions. During our school or college days, when we are financially dependent on our parents, we think that we will invest soon when we get our first salary. On getting our first salary, we think that it is the time to rejoice the perks of all the hardships, so we treat ourselves with the best of luxury. We all know that money is what money does. Gone is the first salary and then year after year, since we get addicted to the luxury, we end up complaining that we do not have much left in hand after expending. Well. If you are spending before saving, then obviously you have no amount of savings in your hand at the end of the month. That right time was soon after you started earning. But the delay made you get into the financial crisis. This means that there is nothing called the right time, in case of investments, the sooner you go for it, the better it is. It is true that we may be willing to invest, but may not have sufficient funds. Remember that savings generate investments. If we save and invest our own funds, then the total amount of returns on the investment made belongs to us. However, in case we borrow and invest, the burden of interest will always be there. Moreover, we may not get the similar returns every time. Also, there may be nil returns on the investment made. However, irrespective of returns, we will be required to pay interest on the borrowed funds. Yes, we all know that it’s difficult to manage without a certain amount of debt. However, this certain amount should always be a small amount of total investments made. This implies that we should always make the best of efforts to invest with our own money rather than the borrowed money. We often seek guidance from our parents, relatives or friends while taking financial decisions. Let me tell, that free advice is easy to get but can be dangerous to implement. Do not rely on peer’s advice, unless you are well aware of the investment plan or decision. Always take a wise decision based on your strategy. It is true, that we learn from our mistakes. However, we are also aware that prevention is better than cure. So before you decide for the “right time” which can be too late or before you make any of the aforementioned mistakes, we insist you to be careful and cautious. Though a beginner, be well planned and invests strategically. Thus, from all the above-mentioned mistakes, we learn that investment is what you should choose at the earliest of time-based on your own strategy without getting misguided by the suggestions of your friends or relatives.  Know more from our stock market course certified by NSE. How to Teach Your Children About Saving? MARKET WRAP for 8th MAR ’16: Nifty closes flat. Banks loose. Market Wrap for 9th Mar, ’16: Nifty gains 50 points, crude bullish!